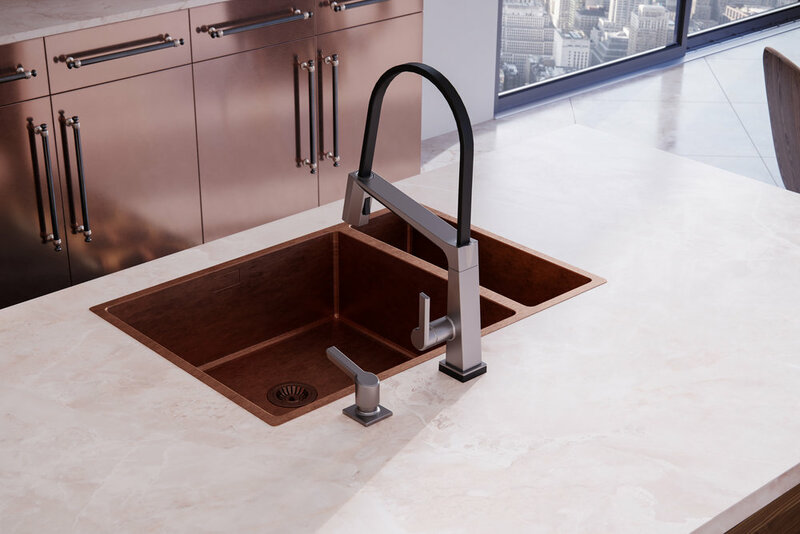 A Kitchen designed around the Delta Pivotal Faucet. Layers of texture and colour. 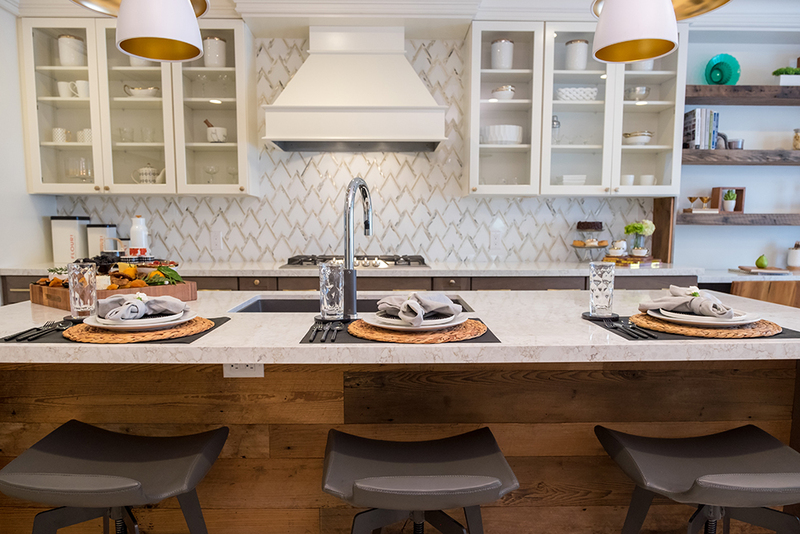 What a treat working on the interior design of this project as Art Director with The Property Brothers! This home was transformed from a dated and gloomy space to a bright, elegant urban retreat in the heart of The Danforth. 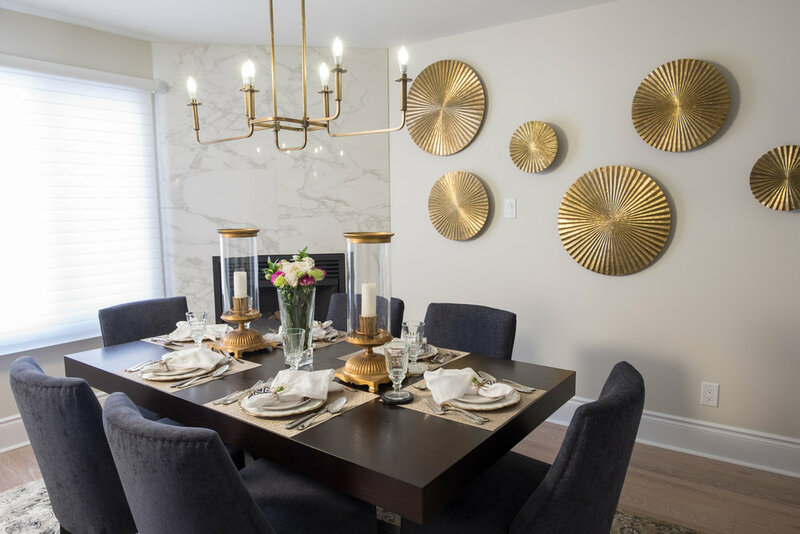 Various layers of colour and texture were key elements in creating a home filled with life, warmth and style for a young family to enjoy! Check out our BLOG for the full episode link. Our client asked to renovate their newly purchased home and the framework was to infuse bold colours, layers of texture and sculptural elements. Their art collection and few vintage pieces added another level of elegance. Enjoy the house tour and photos below. A classic update to this Lawrence Park townhouse. We were approached by a return client to update this beautiful townhouse. Antique Persian rugs were carefully selected to drive the colour palettes and each space was designed with lush textures and colours. The client's art collection was an added bonus and each piece was strategically placed to create a flow through the three floor home. Interior design & architectural detailing. A return client hired us to design this beauty in Lawrence Park. This would be the 5th project working together and it had to be the BEST! The client expressed that an abundance of texture & pattern was the top priority along with elegant details and a seamless flow between the spaces. The overall look was quickly established and the creative journey was set in motion. Two Seasons of Art Direction with The Property Brothers. 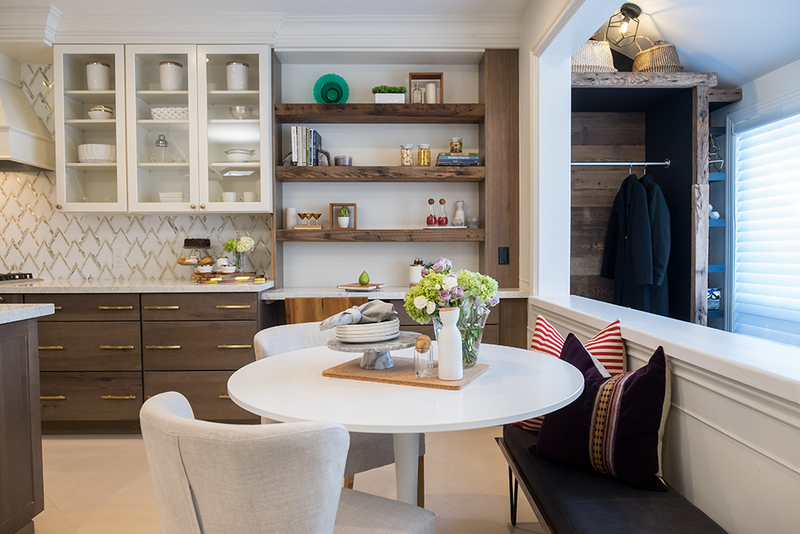 Various spaces carefully curated with The Property Brothers. Check out our BLOG for the full episode link! It all started with a vision of an open diamond bookshelf integrated into the main hall to open up the space and add depth and a focal point. 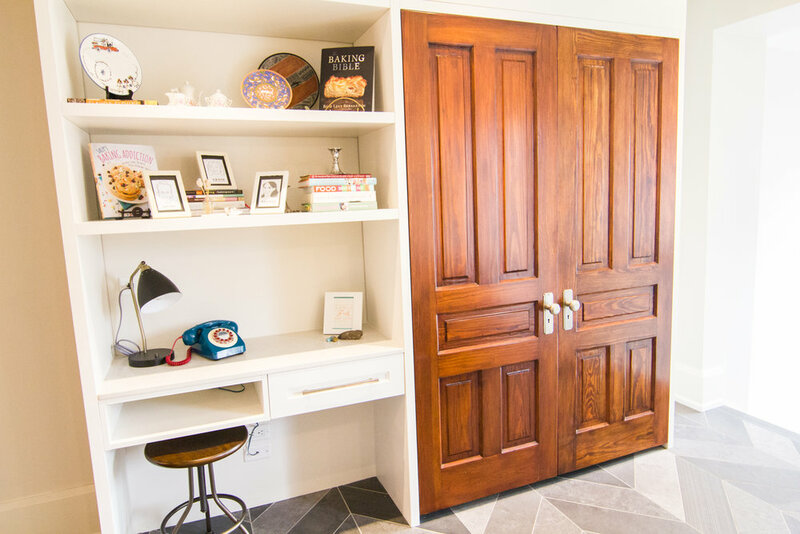 Existing pocket doors were refurbished and integrated into the kitchen pantry design. A balanced mix of colour, texture and pattern added the necessary layers in creating a warm and welcoming space. At the same time, each complementing piece was selected to enhance the flow in the newly opened up main floor. Original architectural details were maintained as best as possible. As soon as we met our client, we knew right away this would be a fun and colourful project. We wanted to capture the heritage of the home architecturally and ensure a seamless transition from the exterior to interior. A careful selection of finishes helped to maintain the character, and our bright bold colours and transitional design completed the space. A newly-built home for a young professional family. We had the pleasure of working with this family again, on the interior design of their newly built modern home. Starting in the open concept living/dining space, we carefully selected interesting textures and colours including a gorgeous burnt orange mohair for the vintage Finn Juhl dining chairs and deep navy for the high gloss feature wall. The family room was a no brainer with a patterned carpet and bright pillows, along with the client's family photos to add a special personal touch, and a bold wall mural to pull the fun vibrant space together. A medley of colour, texture, contrast and style in each space. A collection of vibrant interiors representing a cross section of our work and demonstrating our design discipline in smaller creative spaces. An exquisite home designed to stimulate a buyer’s visual senses. The floor plans were complete and framing was underway. The home had unique angles and was situated at the end of the cul-de-sac of a new residential community. The design was missing some magic and we were hired and given the creative reigns to redesign and recreate. A new main level master suite oasis was integrated right away, and walls began to dance and move around. The central living space came to life with antique carpets, unique textures and vibrant colours. 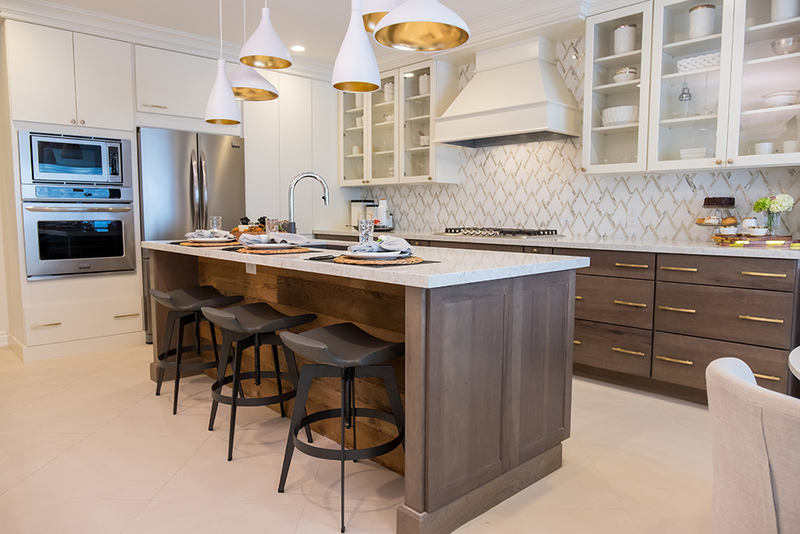 The rich walnut kitchen cabinetry coupled with wallpaper paneling in the dining room, and heavy trim and mouldings throughout added the visual spark that was needed. Luxurious finishes were selected to enhance each space. 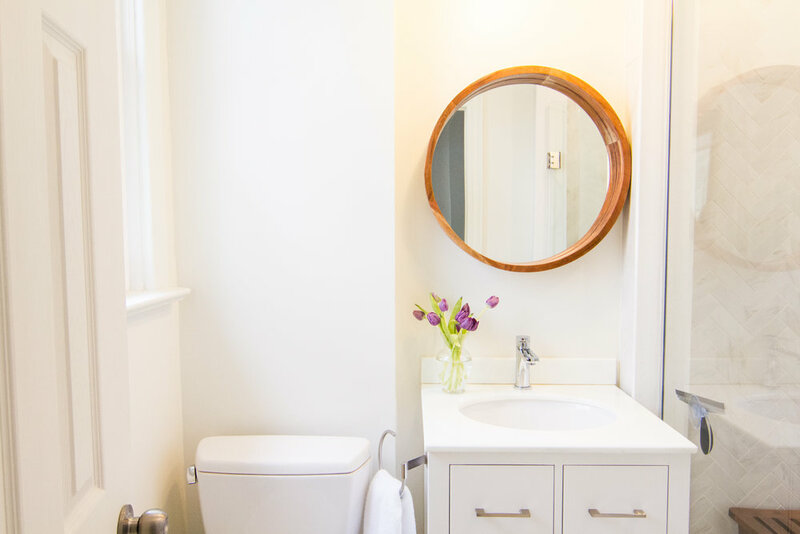 Our favourite design elements of the home included the various bathroom designs, the natural flow between the spaces and how each room was detailed to shine on its own and work as a complement to each other. The sliding ladder detail in the kitchen and the glamorous pearl mosaic tiles of the powder room were a couple of other favorite additions.